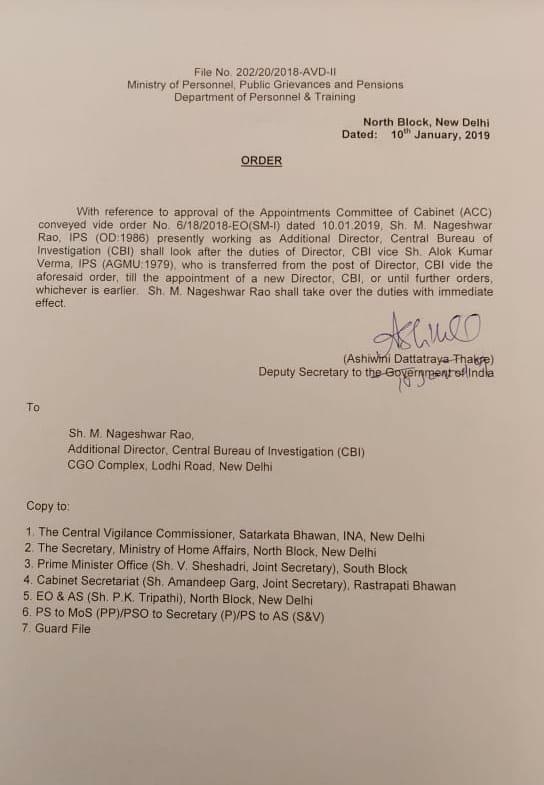 In a shocking development, Prime Minister Narendra Modi proved his power and sacked CBI Director Alok Verma, reinstated by a Supreme Court!!! 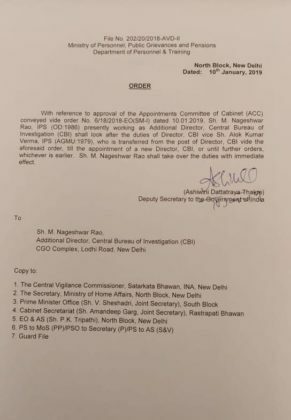 It may be noted till a new appointment or until further orders; Modi has appointed CBI Additional Director M Nageshwar Rao as interim CBI Director. 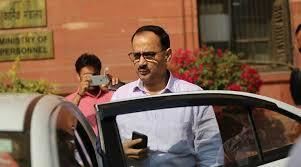 According to reports, Alok Verma, a 1979-batch AGMUT-cadre IPS officer has been transferred to the post of Director General, Fire Services, Civil Defences, and Home Guard.